The Inside Track on the revolutionary fabric that is changing the very concept of “clean”. Microfiber is causing a stir in the cleaning industry. It is quickly becoming the cleaning and polishing fabric of choice in all facets of auto detailing, but this versatile and highly absorbent material is also replacing traditional cleaning methods in hospitals and universities around the world! A unique combination of two basic fibers: Polyester and Polyamide (a nylon by-product) are the backbone of microfiber. These are densely constructed fibers 1/16th the size of a human hair. This network of fibers is then woven and manufactured in distinct ways, producing different varieties for a myriad of uses. 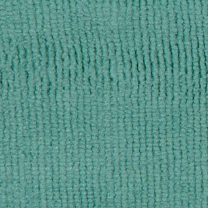 Some Microfiber is processed into a “flat” weave. This weave actually repels water and is used in the textile industry to manufacture water resistant items, such as clothing and watchbands. This variety of Microfiber is not of a quality beneficial to cleaning or polishing applications. In order to be effective for cleaning and polishing usage, the Microfiber must be “split” during processing. This is a costly method of actually splitting the polyester (the scrubbing fiber) from the polymide (the absorbing and quick drying fiber). Remember, if this costly method of “splitting” the fibers is eliminated the resulting product loses over half of its absorbing and cleaning ability! Once the Microfiber is split the fibers are woven into a fabric, often consisting of 70% to 80% polyester and 20% to 30% polyamide, depending on the desired style of fabric construction. The polyester and polymide are combined during weaving to create thousands of microscopic “Loops”. These “loops” form a web of hook-like claws that can reach into the tiniest nooks and crannies, scrubbing away dirt and grime while trapping it within the weave. This amazing “loop” is what makes Microfiber the ideal choice for gently buffing dirt particles off delicate glass and paint surfaces, without fear of abrasion. Denier is the unit used for measuring the fineness of fabric. Microfiber is incredibly fine with a denier of approximately 0.01 to 0.02. Compare that against the denier of a single strand of silk at 8, or a human hair at 20! Now imagine buffing your treasured car with a fabric that is softer than the finest silk! While it is true that microfiber is among the softest materials ever created by man, it is also incredibly strong. That’s because “split” microfibers contain thousands of “loops” per square inch, and high quality microfiber cloths have upwards of 200,000 strands of fiber per square inch of material. This high density of fibers results in a fabric that is durable enough to withstand over 500 washings! Making microfiber extremely cost effective, since it is highly re-usable. Hypoallergenic and Safe for the Environment! Microfiber actually traps dust and dirt, and can be used with or without chemicals. That is because the filaments are positively charged, while dust and dirt carry a negative charge. A quality microfiber will quite literally pick up all foreign materials! That is great news for allergy sufferers! Used dry, the fibers act like a dust magnet. Used wet, with simply water or a tiny amount of detergent, the fibers become formidable scrubbers, easily tackling the toughest grime. Recent scientific research studies have revealed some interesting facts about Microfiber. One such study conducted by the Environmental Protection Agency of the United States was recently released. The EPA found microfibers reduced chemical use and disposal (since they are designed to clean any surface using just plain water! ), are less labor intensive, more cost efficient, and clean far more effectively than conventional cleaners. Many of the Microfiber products being offered on the market, especially some types designated for “automobile use” are made from “non-split” (non-absorbent and ineffective) yarn. The manufacturer forgoes the expensive “splitting” procedure to save money, and the result is a failing product. Not only does the blend lose over half of its absorbing and cleaning ability but it weakens with use, greatly reducing the life of the product. Some microfiber products coming out of China and Korea have less density, and a denier (length of measure) of 0.5 or higher, which is 50x’s larger than the preferred quality denier of 0.02 or smaller. When looking for a Microfiber cloth or towel bear in mind that less density of fiber, translate into less cleaning power and far less durability. The less dense cloths are also more abrasive to delicate surfaces. Look for at least 200,000 fibers per square inch of fabric. At over 200,000 fibers per square inch of fabric, boasting the maximum density commercially available, you’ll get all the cleaning power you need with the Pinnacle Miracle Towel; an amazing cleaner that is lint free and safe to use on all surfaces. An outstanding 70/30-polyester/polyamide blend makes the Pinnacle Miracle Towel the finest microfiber towel available! Don’t forget to use the Cobra Glass Cleaning Cloth for all your glass cleaning tasks. With over 200,000 strands of fiber per square inch, and a super absorbant 80/20-polyester/polyamide blend, it remains unmatched in lint-free, streak-free glass cleaning perfection! Superior Microfiber cloths and towels rely on this dense weave to achieve greater cleaning results. Cheaper versions of Microfiber can use a weave that is too wide or a pile that is too long, which causes the fibers to break off during use, leaving a lint trail. This is not uncommon practice among manufacturers looking to make a tidy profit while leaving the consumer with a shoddy product. Using only the highest quality of advanced Microfibers available, the Pinnacle line of microfiber products are utilized by detailing professionals and auto enthusiasts everywhere! Explore these superior products for yourself and be amazed by the Pinnacle Miracle Towel; the best microfiber towel on the market! The Cobra Glass Cleaning Cloth strand by strand it’s the best glass cleaner in the land! The Cobra Detailing Cloth great for all those quick detailing jobs, and intensive cleaning! All have a density of over 200,000 strands of the finest microfiber per square inch of fabric! 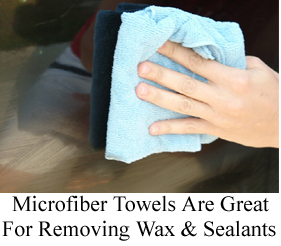 Remember this tip when using your new Pinnacle microfiber cloths or towels wet! These state of the art fabrics are designed to use as dry as possible, reducing cleaning times and waste. So go ahead and use your favorite cleaner if you like (although you’ll get great results with just plain water!) but remember to use the cleaner of your choice sparingly. For best results on glass and high shine surfaces, spray the cleaning surface to dampen, then buff dry with your new Pinnacle microfiber cloth or towel. Watch as streaks, water spots (even old ones), and swirl residue disappear before your eyes! When used dry your new Pinnacle microfiber towel or cloth can’t be beat for removing dust, dirt particles, polish, and wax residues. You won’t believe how well they polish chrome and gently buff paint to that “see through” shine! Remember these are super chamois! Don’t forget your Motorcycle, Boat, or R.V.! Plus there are thousands of household uses for these incredible cleaners as well! The Pinnacle line of microfiber cloths and towels are designed for ease of use and durability. These fantastic cloths can be washed and re-used over and over again… at least 500 times! They are so easy to care for. Simply wash in warm with hot soapy water or micro-restorer by hand or in the machine. We strongly recommend you always wash these cloths and towels separately from your other laundry, as they will attract all the lint in your washer due to their powerful positive static charge. Never expose them to fabric softener!!! It can weaken the static charge of the filaments and reduce their effectiveness. They can be placed in an electric dryer on low setting, but it is unnecessary. The Pinnacle microfiber cloths and towels are so incredibly light; they dry in 1/3rd the time of ordinary cloths and can be easily air-dried.